Features: KV TECH No. : OEM REF. 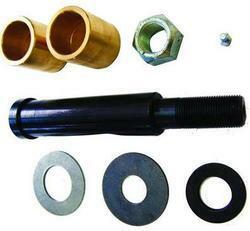 We Offer High Quality of Suspension Bushing Kits. Manufacturers of precision engineered polyurethane components for suspension systems. 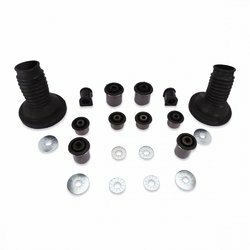 A unique suspension bushing material delivering outstanding performance benefits: super flex suspension bushes power flex polyurethane suspension bushes poly bush suspension bushes. Used for vibration absorption in the front suspension of vehicles. We are a leading manufacturer, supplier and of Suspension Kit Front. These are abrasion resistant and offer maximum flexibility. Our customers avail from the range of suspension kit we offer as these are made of high quality rubber sourced from the best vendors. Clients can avail a wide range of Suspension Bushing Kits, which is highly sought after in the automobile industry. These are fabricated using high quality rubber procured from reliable and trusted vendors, which are meant for ensuring durability and reliability.